← Performer Danielle Lace Has Passed Away. 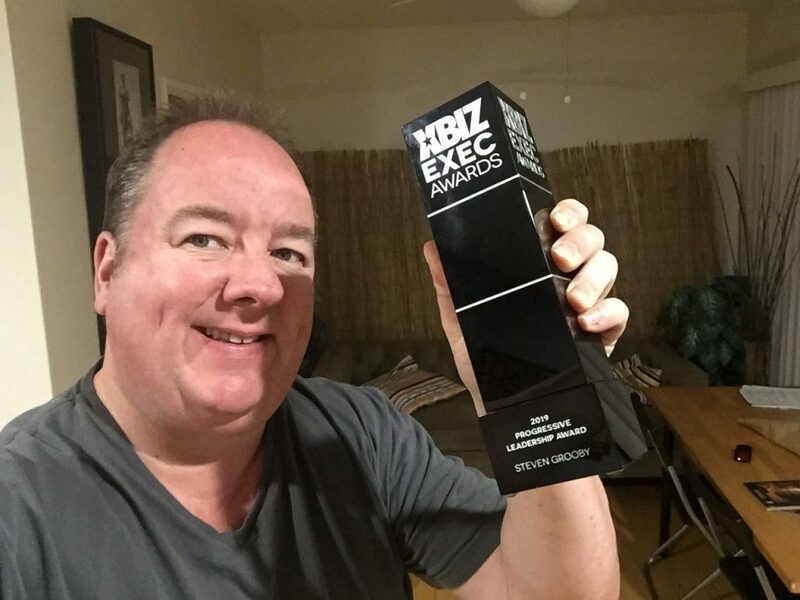 I’d like to take this opportunity to publicly thank you to Xbiz for honoring me with this award. There are very few personal awards that I care about but this is one that means a lot to me and to what we’ve tried to do to Grooby. I used to believe a ‘leadership’ or a ‘progressive’ award was all about forward thinking. How to maximize the income for your company by utilizing the most up to date tools, by being an early adopter on various technology or platforms, by being forward thinking on what the next ‘big thing’ is in our industry. To be fair, I think I’m pretty good on all of the above, we’ve been first to the party in our niche on a number of things and I’ve used my soapbox to promote new ideas, billing methods, anti-piracy techniques or technology to get ahead of our competitors, but that is not being ‘progressive’. Over the last few years, I’ve came to realize that leadership or being a progressive individual (or company) has little to do with the product you are selling, or where you are selling it. A successful company cannot just be measured on the bank balance or revenue growth – a successful company is one in which not only can the employees being proud of, but the customers, contractors and (in a production company), the models who choose to work with us. All should have a pride and feel ownership in the company. I came into this industry in 1997 as a naive, horny ‘child’ of 26 years old. As a fan, and as someone who saw some small opportunities gradually grow until they became a fully fledged business – with that came something I didn’t plan on, responsibilities. A company owner has responsibilities to the people working with them and to their families, they have responsibilities to a company which pays a lot of money out to a lot of people. The burden on providing this can weigh heavy and it is easy to look at what is the most profitable, rather than what is the right thing to do. Over the years and through trials and errors, I believe Grooby has found the right balance. You can be good, and do good. Doing good business, is good business. One cannot be a progressive leader, without having progressive employees and I’ve been either smart enough, or more likely, lucky enough to have surrounded myself with some of the most cerebral and clear thinking people in the industry. There have been hiccups along the way, there have been staff or situations that we’ve been in which I’m not proud of, I’ve made many mistakes which I look back on with regret – but all were taken with the right mindset to both run a productive business and to run it well and with respect. When we’ve steered from the path, we’ve listened to our staff and those we respect and admire to help nudge us back on course, when we’ve made mistakes we’ve corrected them and moved on. I expect we will continue to make mistakes or ponder the wrong direction and my expectations are that we will continue to listen and adjust where and when it’s necessary. Grooby is like large boat trying to go through a canal in which it can just fit, we need the engines turning, and the ship to be steered from on the boat. We also need the outside influence of smaller tug boats, nudging and pulling us so we can easily glide into the canal. It’s a privilege to work on something every day that you love – and to work with people that have the same goals and targets that you do and I’ve never taken that for granted. 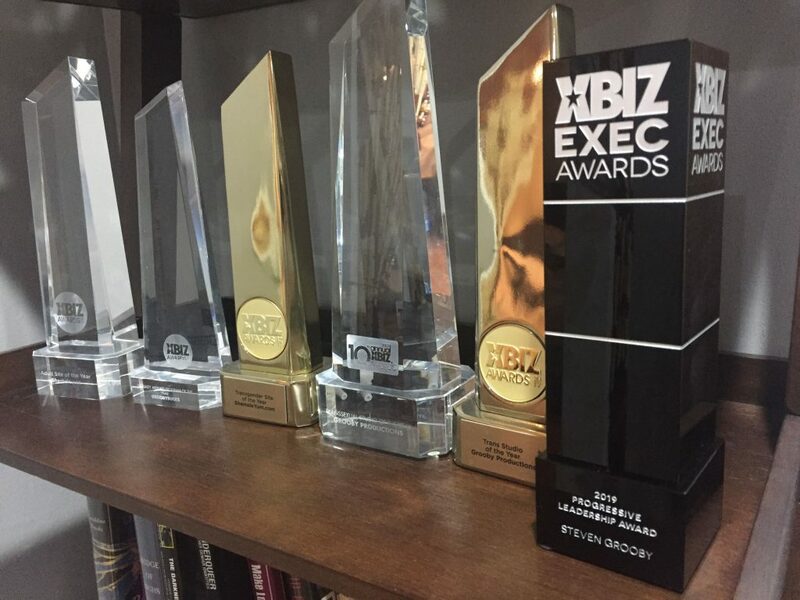 Thank you again Xbiz – I truly appreciate it. Thank you to everyone at Grooby over the past 23 years. Thank you to the 1000’s of performers across the world. Thank you to those who support us by paying for their content. I hope we can be as progressive in the future. This entry was posted in Steven and tagged Add new tag. Bookmark the permalink.